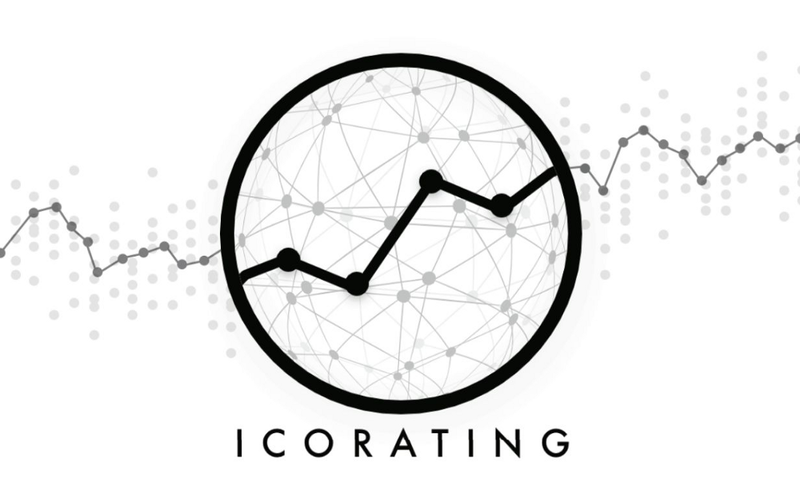 Before I get into some price charts and the release of a few other articles that I have been working on, I want to take a moment to bring everyone’s attention to a website called ‘ICORating’. I’m going to preface the following statements by telling you all that I’m not leveling any specific accusations against the ICORating company, because I do not have the facts present to state that, although I do have suspicions. I’ll keep those speculations private and just stick to the facts. A couple of weeks ago (like mid-July ish), an individual reached out to me on Twitter through my DMs and informed me that they wanted me to share their quarterly report to you all because it seemed like I had a good following. The name of this individual is redacted so we can keep this classy. This isn’t for ‘drama’, I don’t have a personal issue with these people, this person or company. I don’t know them. But I’m not a fan of how some of their ICO reviews are set up. I brought up some allegations that members of the crypto community had launched because I wanted to see what his response would be. The answers that I was given were really unsatisfactory for me, and that’s what compelled me to tell you all about my concerns as well because I know that there are some people that are relying on that website as a means of getting a thorough review on ICO tokens. The project, Quadrant, is a textbook example of something that rubbed me the wrong way on their website. As you can see from the screenshot here, they had a pretty favorable report of Quadrant. However, if you view the actual rating report, the statements that they made appear to contradict the ratings that they gave this project. Now, from those ratings, a person that had been considering investing in Quadrant that stumbled upon this website may see this as confirmation that this is a legitimate investment to make with a high likelihood of a strong ROI. However, their comments on the actual project itself in the report itself (which you have to click an additional link to find), stand in stark contrast. In my personal opinion (and I’m sure in yours as well), it is absolutely unacceptable to pass on an ICO project with glaring issues like that a “low risk” score. Most people that have been in crypto for a little while would see those notes about a project and see it as much more than a ‘low risk’ project. I’ll probably get in trouble for telling you all this, but I know for a fact that Quadrant had a very sizeable private sale and that they were aware of said private sale, which was conducted by a notable VC group. I found out about said VC group via another group that I was invited into that contained Charlie Shrem into it. I asked the people in said group to ban me from the group because I had no further interest in being a part of it after learning how they really operate. This isn’t information that is reflected anywhere in Quadrant’s whitepaper. You won’t find any section for ‘investors’, which is what/who private sale tokens would/should be attributed to. Keep in mind the other missing information that ICORating themselves noted in their report when asking yourself if this is an ethical or logical rating. The main purpose of this information is to just reveal how people are maneuvering, not ‘who’.